Some 500,000 asteroids are circulating near-Earth space and some of them may pose a real danger to our planet. But a US company says it plans to build a telescope that will be able to watch them. ­Some asteroids may collide with Earth between 2020 and 2030, and only about 10,000 out of half a million have been catalogued to date – so time is of the essence. 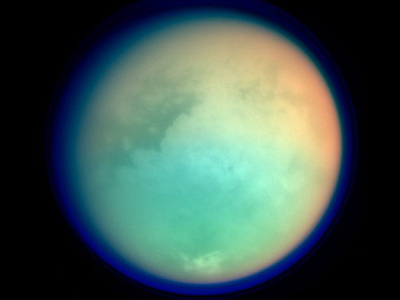 But the B612 Foundation is certain its future telescope called Sentinel, which may be launched into orbit around the sun in about five years, can help to chart the rest of them in less than six years of operation. “This is going to be the definitive map of the inner solar system,” says Ed Lu, a former NASA astronaut and B612 Foundation’s CEO. Once completed, the map will help researchers spot potentially dangerous asteroids and identify others that could be targets for mining activities, for example. The goal is to have decades of notice, Lu told Reuters. "I think it would be embarrassing if we were to be struck by a major asteroid in the next few decades simply because we didn't choose to do the mapping that's needed to find these asteroids," he said. Apollo astronaut Rusty Schweickart believes it is not a question of if Earth will be hit by an asteroid, but when. Our planet has already had a calamitous experience of this kind. In one such case Earth’s dinosaurs were wiped 65 million years ago. A more recent event, which is believed to have been caused by a comet that exploded in Siberia, destroyed more than 2,000 square kilometers of taiga forest. Provided any future threat of this kind is spotted in time, humankind could use a range of technologies that already exist, such as the power of nuclear energy, in order to deflect the asteroid, Lu said. 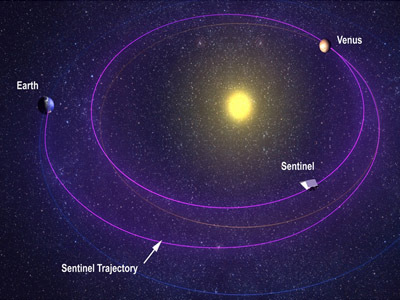 During its planned 5.5-year mission, Sentinel should be able to find 90 per cent of near-Earth asteroids that are 140 meters in diameter or larger, as well as some 50 per cent of those measuring at least 40 meters across. However, building the prospective wide-angle, infra-red telescope requires substantial investment. The company estimates it would have to raise several hundred million US dollars, and to this end it is counting on private donors. Sentinel will be built by Ball Aerospace and operated by the University of Colorado's Laboratory for Atmospheric and Space Physics in Boulder, Colorado. The launch with a Falcon 9 rocket is tentatively planned for 2017-2018.